Our eCommerce stores provide clients with an online presence enabling the sale of products, customisation of shopfront and tracking of orders and customers. All of this is simple to manage allowing a business to focus on its strengths whilst reaping the benefits of automation and improved efficiency of online store management. While there are many things that effect search engine results, the construction of an eCommerce website can have a significant impact on search results. At DBG we build sites that are optimised for search engine results. Our eCommerce solution has its own Content Management System that is easy to use meaning you can self manage changes to your website. If any changes to content are out of your comfort zone, DBG will still be here to help and guide you. Most browsing and online purchases are undertaken using mobile devices. 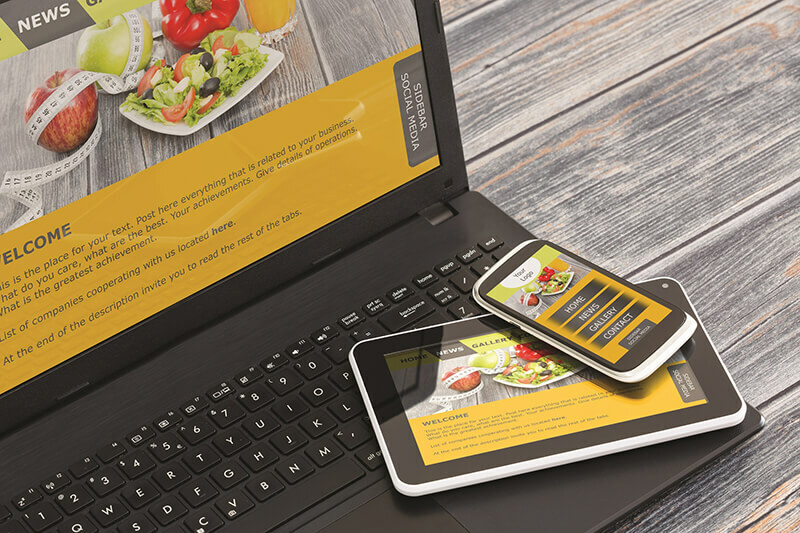 If your website is not mobile friendly and does not automatically resize to suit the smaller screens, you will quickly lose customers and potential customers. This equates to losing revenue! Once you get visitors to your site, you want your site to be easy to use, easy to navigate and easy to purchase from. Cart abandonment is a loss of revenue so we assist clients ensure their sites are friendly and easy to use.